California stays with it: The California Air Resources Board has approved the Advanced Clean Cars (ACC) program, which reaffirms vehicle emissions standards set through 2025 should stay on track. The approved measure also mandates development of stronger requirements for vehicles manufactured in subsequent model years. It was created in 2012 in conjunction with the federal fuel economy and greenhouse gas rules, which may be weakened in Washington by the Trump administration over the next year. It could be the start of a clash between California and the federal government. California’s zero-emission vehicle regulation requires auto manufacturers to produce an increasing number of plug-in hybrid, battery electric, and fuel-cell electric vehicles. CARB also approved the South Coast Air Quality Management District’s comprehensive air quality plan. Keystone pipeline approved: The U.S. State Department’s approval of the Keystone XL pipeline is expected to face a series of hurdles in states directly affected and which have yet to approve. President Donald Trump had committed to Canadian oil company TransCanada to lift the Obama administration’s ban on the pipeline. The 1,200-mile pipeline will transport heavy crude oil from tar sands mines in Canada to a second existing pipeline, which will deliver the crude oil to specialized refineries in Louisiana and other parts of the Gulf Coast. Environmental groups such as the Sierra Club are expected to file legal challenges to final approval and building of the pipeline. Tesla gets new investor: Tesla Inc. reported that Chinese tech giant Tencent Holding has taken a 5% stake in the electric automaker for $1.78 billion. Tencent has been playing a role investing in U.S. and Chinese mobility startups in self-driving, electrified vehicles. The company has been best known for its WeChat mobile messaging app. Other EV-maker investments include NextEV, a Shangai-based startup which recently renamed itself Nio. That company has a Silicon Valley office not far from Tesla’s headquarters. Future Mobility is another Chinese startup Tencent has funded. Uber crash: Uber is returning part of its autonomous test fleet to San Francisco after experiencing a collision Saturday that ended up grounding the fleet. Uber has been cleared from the accident in Tempe, Ariz., with police saying the crash occurred because a human-driven vehicle failed to yield to the autonomous Uber test vehicle. Uber’s test vehicles are able to travel autonomously, but the company keeps a human driver in the passenger seat ready to take over the car if necessary. Uber, as a company, continues to deal with a wave of bad news. Musk backs artificial intelligence venture: Tesla CEO Elon Musk has taken on another passion: Neuralink. Musk is backing the startup venture that, as he says, will merge “biological intelligence and digital intelligence.” The business will be centered on creating devices that can be implanted in the human brain. The end game will be helping human minds partner with software and keep pace with advancement in artificial intelligence. Memory could be improved, and the capacity for human minds to interface with computing devices will be tested. The new system will explore how brain interfaces might alleviate the symptoms of dangerous and chronic medical conditions such as epilepsy and severe depressive disorder. Musk is excited about being part of the “neural lace,” which is a sci-fi term for a brain-computer interface humans could use to improve themselves. He’s been known for debating other entrepreneurs in the artificial intelligence community, which is tied into SpaceX, robotic manufacturing, autonomous vehicles, and other topics. New York EV incentives: New York has set up an incentive program for purchasing electric vehicles that supports longer range, affordable cars. Only a few vehicles, like the Tesla Model 3 and the Chevy Bolt EV, will take advantage of the full $2,000 incentive. Requirements for the full incentive are selling electric cars with a range of over 120 miles and a price tag at less than $60,000. Expensive electric cars like the Tesla Model S and Model X, and the BMW i8, can only receive a $500 incentive. Aerovironment and eMotorWerks: AeroVironment will be integrating eMotorWerks’ JuiceNet smart-grid electric vehicle charging platform into AeroVironment’s line of charging products. The worked relationship is aimed at helping consumers find increased charging capabilities utilities to assist in managing demand load aggregation. EV drivers will be able to tie in their smartphones, web, and Amazon Alexa voice control over charging. They’ll also be able to tap into other features like looking at real time and historic energy usage for charging and notifications of charging status and other resources for lowering their utility bills. ACT Expo keynoters: The speaker lineup has been announced for ACT Expo 2017. Thom Shea, President and CEO of Adamantine Alliance, will share his experience on navigating through challenging times based on his experience as a highly decorated U.S. Navy SEAL, author, and leadership and human performance coach. With a number of policy and budget changes at the federal level, and the always present oil price roller coaster, the advanced technology and alternative fuels sectors face continued uncertainty and possible headwinds. Other speakers announced by ACT Expo include: Pete Melin, Director of Zero Emission Technology, Metro Transit of King County on managing a transit fleet integrating 120 battery electric buses into its operations; Kathryn Garcia, Commissioner, New York City Department of Sanitation on the world’s largest sanitation department testing DME and other efficiency measures; Sandra Berg, Vice Chair, California Air Resources Board on the agency’s role in advanced clean transportation policies; Kary Schaefer, General Manager, Marketing and Strategy, Daimler Trucks North America on leading the way in technology development for advanced clean trucking; Rob Neitzke, President, Cummins Westport on the company’s experience launching the game changing .02g NOx engine. Plus dozens more. See the full agenda and you can get a good look at the display vehicles. MUD chargers: A new report by UCLA’s Luskin Center for Innovation identifies multi-unit dwellings (MUDs) that could be targeted for outreach as they exhibit high latent demand for plug-in electrified vehicles (PEVs) and low-cost installation of charging equipment. In order to reach California’s goal of 1.5 million zero emission vehicles by 2025, residents of apartments, condominiums and other MUDs need to be assured that they can charge their PEV at home, writes, Alex Turek, Project Manager, at Luskin Center. Cost of fuel economy standards: International Council on Clean Transportation, an independent research group, released a report stating that automakers costs could be reduced by 34 percent to 40 percent per vehicle in the 2022 through 2025 phase of the federal fuel economy standards if enacted from what was approved in January by the Obama administration. Much of that is already happening with automakers utilizing new technologies like turbochargers and advanced transmissions, and lighter weight materials such as aluminum. ICCT has played a role in the Volkswagen diesel emissions scandal investigations, and worked closely with California Air Resources Board and the U.S. Environmental Protection Agency on the findings. Federal funds cut: If the Trump administration’s 2018 proposed budget passes in Congress, two important federal funding programs for green vehicles and cleantech will go away. The proposal would eliminate the U.S. Department of Energy’s Advanced Technology Vehicle Manufacturing Loan Program (ATVM) and Advanced Research Projects Agency-Energy (ARPA-E). To absorb Trump’s proposed $54-billion increase in defense spending, big cuts will be made to other federal agencies. These two Department of Energy funding programs have been able to tap into DOE-sponsored university programs and public/private alliances with vehicle makers and tech suppliers. The first-ever mass market electric vehicles in the U.S. – the Chevy Volt, Nissan Leaf, and Tesla Model S, had benefited from federal backing. Ford eQVM program: Ford is adding OEMs in electrified vehicles to the Advanced Fuel Qualified Vehicle Modifier (QVM) program. These vehicle modifiers and upfitters develop and install electrified and hydraulic hybrid powertrains for Ford trucks and vans. The eQVM program kicks off with three developers – XL Hybrids, Motiv Power Systems and Lightning Hybrids. These companies offer electrification or hydraulic hybrid solutions for a range of Ford vehicles popular with fleet and commercial customers, including F-150, F-250 to F-550 Super Duty, F-650 and F-750 medium-duty trucks, Transit and E-Series vans and chassis, and F-53/F-59 stripped chassis. Uber upheaval: Jeff Jones, the president of Uber, is quitting the ridesharing company after only being there about six months. The move by the No. 2 exec, sources say, is directly related to the multiple controversies there, including charges of sexual harassment. Uber’s list of controversies is long and complicated, including the Waymo lawsuit on Uber stealing its technology for self-driving cars. The company said it plans to review and commit to diversity goals and publish results from a sexual harassment investigation over the coming weeks. Arianna Huffington, a company board member, said a probe into the company’s culture and harassment claims is likely to be completed by the end of March. Huffington will help oversee the investigation along with Eric Holder, the former U.S. attorney general. VW MEB product launches: Volkswagen is preparing to launch its first all-electric I.D. car in 2020 on the new MEB modular electric platform. The company is concerned that increasingly strict emissions rules in China and Europe will need to be taken very seriously. VW brand CEO Herbert Diess told analysts last week that the I.D. 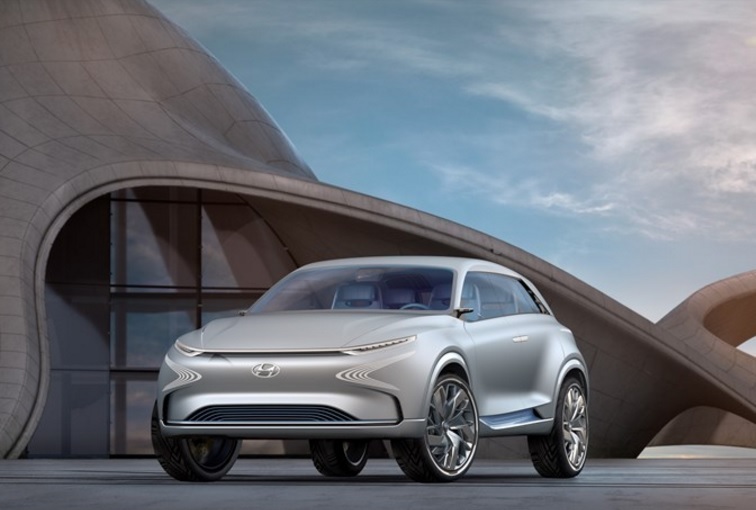 concept hatchback shown at the Paris auto show last year is expected to have its design approved in August for the 2020 launch; followed by an electric SUV coming out after 2020, with a concept being revealed next month at the Shanghai motor show. The I.D. Buzz minibus concept previewed at the Detroit auto show in will be the third EV and should come out in 2022. China will play the most important role for VW meetings its ambitious EV sales target over the next decade. Lucid Air pricing: Lucid Motors has revealed the pricing of Lucid Air, the company’s all-electric supercar that was unveiled in December. Lucid says it will charge $60,000 for a 400-horsepower, rear-wheel drive version of the sedan, which will have 240 miles of range. The company is currently taking $2,500 reservation down payments; the car is scheduled to begin shipments in 2019. VW settlement: Volkswagen’s Electrify America subsidiary will be installing 320 kW fast chargers in California as part of the $2 billion settlement from the diesel emissions scandal. The chargers will not be proprietary to VW and will use Combined Charging Systems, CHAdeMO, and open protocols like Open Charge Point Protocol (OCPP) in the chargers being placed. In total, the company plans to install between 2,000‐3,000 chargers (mostly Level 2 and 50 kW DC chargers) at 400 or more individual stations. NextEV finds another backer: Chinese search engine giant Baidu will be investing about $600 million in Chinese startup NextEV. NextEV already has the backing of tech giant Tencent Holdings and Hillhouse Capital. The startup launched the world’s fastest electric car, the Nio, at a bay area event. Both NextEV and Baidu have licenses to test out there self-driving cars in California, so electrified autonomous vehicles should be part of the alliance. NGVs in Europe: European Alternative Fuels Observatory released a special edition report on the natural gas vehicels in that market. This edition is dedicated to the use of natural gas vehicles in Europe. Some facts about the NGV market in. The latest figures show that there are about 1.3 million NGVs in Europe. They fuel up at more than 3,600 CNG stations in Europe with the top five infrastructure countries being Italy, Germany, Sweden, Netherlands, and Austria. There are more than 50 different models of CNG and LNG vehicles available in Europe. NGVs are years ahead in Europe as these vehicles and fuel played an important role in several decimated countries like Italy recovering from World War II. Goodbye Model S 60: Tesla’s Model S 60 will go away after April 16 orders as Tesla cuts out the least popular, and least expensive, electric motor and battery pack option. The cheapest option will be the S 75 and the starting price will go from $71,300 to $77,800. There will be a wider gap between those looking for the cheaper Model 3 and pricey Model S and Model X.
Hydrogen station webinar: Today at 12 noon (PST), you can join the California Fuel Cell Partnership for a brown-bag webinar update about hydrogen station network development in California. This webinar will provide general, non-technical overview about: retail fueling network development status; next retail stations ready to come online; proposed CEC funding of 16 additional stations; and SOSS system updates​. To participate from 12 noo to 1:00 pm PST, register here. You can also participate in a Q&A after the presentations. President Donald Trump’s statement on Wednesday reopened the fuel economy and emissions midterm review through the next year, possibly up to the original deadline of April 2018. 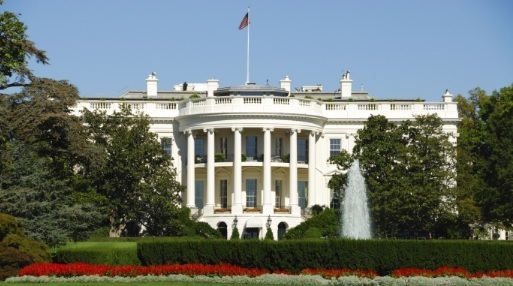 It’s expected that the Trump administration will weaken the mandate, which when set in 2012, was to double average fleetwide fuel economy to 54.5 mpg by 2025. That mandate was actually based on real-world window sticker average mpg in the high-30s when factoring in automakers’ ability to trade credits and other factors that go into the corporate average fuel economy numbers. The midterm review was included in the 2012 negotiations, with automakers pushing to take a look at how the 2022-25 phase-two period would be going. The Obama administration and Environmental Protection Agency’s decision in January to finalize the rules before Trump took office intensified the conflict. Automakers had begun lobbying Trump right after he won the election to extend the review and soften the mandate; and organizations that had advocated for the fuel economy standard and its enforcement issued statements supporting the Obama administration’s move. Automakers: Ford, General Motors, Toyota, and Volkswagen have led the argument that the numbers aren’t there. Low gasoline prices have supported record demand for SUVs, crossovers, and pickups and dragged on demand for hybrids and small, fuel-efficient vehicles. Plug-in electrified vehicle sales have grown to about 1% of the total market, but the growth rate over the past year isn’t helping on the fuel economy front. In Michigan last week, Trump met with the CEOs of GM, Ford, Fiat Chrysler Automobiles, and top U.S. executives from Toyota, Nissan, Daimler, others. 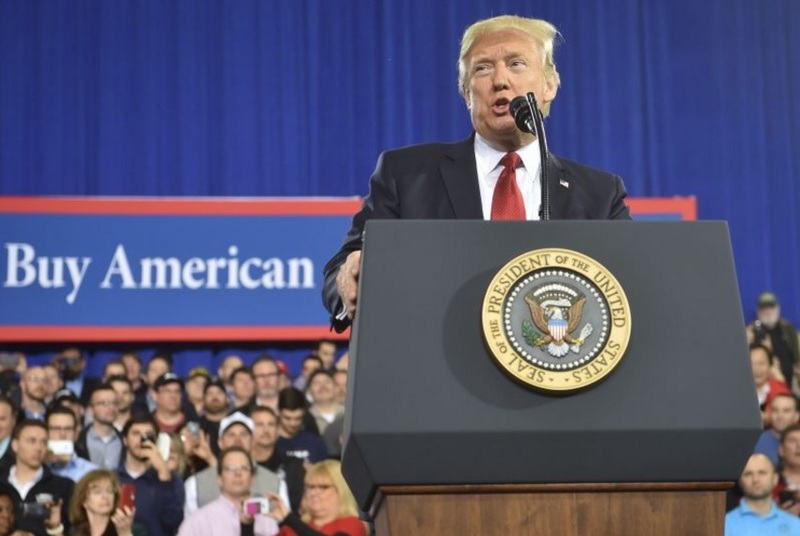 Mitch Bainwol, chief executive of the Auto Alliance, which represents 12 major automakers, including GM, Ford and Toyota, applauded the Trump administration’s decision last week. “We applaud the Administration’s decision to reinstate the data-driven review of the 2022-2025 standards. By restarting this review, analysis rather than politics will produce a final decision consistent with the process we all agreed to under ‘One National Program’ for GHG and fuel economy standards,” Bainwol said. Truckmakers: In August, the EPA issued phase-two standards to reduce greenhouse gas emissions coming from commercial trucks, buses, and vans, in three phases by 2027. The regulation is intended to cut carbon emissions by about 25% compared to the current rules. The trucking industry has not asked the Trump administration to reverse those rules, according to Sean McNally, spokesman for the American Trucking Associations. U.S. Senator Edward Markey (D.-Mass.) has been a vocal critic of the move. The action will lead to needless uncertainly for the auto industry, and consumers will end up having to pay more at the fuel pump, he said. He and other Democratic senators criticized the EPA emissions review before it had been issued. Senator Jeff Merkley said that its bad for the economy, environment and middle class families. Consumer groups: In late February, Consumers Union (which publishes Consumer Reports) and the Consumer Federation of America sent a letter to Trump asking the administration to maintain the strong fuel economy standards – to help to lower fuel costs for middle class families across the country, support job creation and innovation, and improve air quality. Consumers Union’s research shows that consumers will have net savings of $3,200 per car and $4,800 per truck, over the life of a vehicle that meet the 2025 standards, even at today’s low gas prices. If gas prices rise, which two organizations expect they will, the savings would be significantly higher. Consumers will have more money to spend in other parts of the economy. The two consumer organizations also make the case that automakers are already ahead of the standards through developing innovative, fuel-efficient technologies. “Thanks to fuel economy standards, the automakers have invested in innovative technologies to improve fuel economy, and their efforts have paid off. Automakers have not only met today’s fuel economy standards, but they have exceeded the standards in many cases, all while enjoying record profits and record sales,” the letter said. Environmental groups: These groups see the announcement as part of a larger move by the Trump administration to overturn the Obama administration’s policies on climate change, and disregard for long-term air pollution standards like the Clean Air Act. Environmentalists have vowed to sue if the Trump administration weakens the rules, which they expect to happen. Natural Resources Defense Council thinks it makes no sense, since the mileage standards would save consumers money at the gas pump, make the U.S. less dependent on oil, reduce carbon pollution, and advance technology innovation. It was also one of the ways GM was able to go from bankruptcy and return to financial strength. The American Council for an Energy-Efficient Economy said that the Trump administration’s move was a bad one. Best known for its “Greenest and Meanest” awards, the organization usually stays out of public policy. 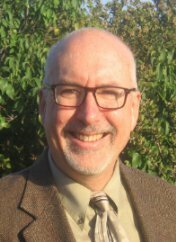 This time, the ACEEE released findings from its study: it would reduce fuel consumption more than two million barrels of oil by day by 2025; eliminate six billion tons of greenhouse gas emissions over the lifetimes of vehicles of model years 2012-2025; and would save consumers over $1 trillion at the gas pump. California: Trump didn’t mention California’s role in the future of the national standards. He won’t seek to revoke California’s clean car rules and zero emission vehicle mandate, according to a White House official. However, the official didn’t rule out the administration seeking to withdraw California’s authority on the matter in the future. Nine states and the District of Columbia have adopted its zero-emissions vehicle mandate, which uses a credit system that will require automakers to sell about 1.5 million passenger by 2025. 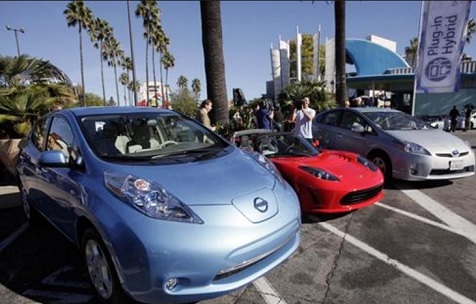 These include battery electric, plug-in hybrid, and fuel cell vehicles. Governor Jerry Grown and California Air Resources Board chair Mary Nichols have made strong statements that California will move forward on ZEV mandates regardless of what the federal government decides to do. They are taking things seriously, though. The state has hired former Attorney General Eric Holder in anticipation of legal challenges, according to the Sacramento Bee. Market dynamics: Automakers and advocates of clean vehicles have for years been debating the structure behind the federal mandates. Under the rules, automakers have to hit fuel economy standards for manufacturing fuel efficient vehicles, but will enough of them be sold to meet the fuel economy and emissions targets? That debate brings up the commonly cited conundrum of which economic side has to lead the way: supply or demand? It could bring up the “If you build it, he will come” line to call in Shoeless Joe Jackson during the Field of Dreams movie. Or, what comes first, the chicken or the egg? Or, putting the cart before the horse. On the consumer side, the U.S. has seen hybrid sales soften and stagnate, but PEV sales increase at a faster pace than hybrids did 15 years ago. That’s been driven by passionate Tesla fans, PEV advocates well represented by groups like Plug In America, and consumers who like to lead the way as one of the first to adopt new technologies, and others who like the deals they’re getting through incentives and fuel savings. Fleets will be playing an increasing important part of the PEV sales drive. Beyond a few major fleets like UPS, most had taken a very hesitant approach to electrified cars and trucks. That will be getting a major boost by the campaign taken on by 30 U.S. cities, led by Los Angeles Mayor Eric Garcetti, to get good deals from automakers. They have about $10 billion in acquisition funds for about 114,000 PEVs for their city fleets. These could go to vehicles like police patrol cars, street sweepers, trash trucks, and other applications. Buying that many PEVs would increase the segments U.S. sales by about 72%. Market forecasters see PEV and hybrid sales staying at about this level for now. However, that’s expected to increase dramatically in the near future, with one noted analyst expecting to see PEVs and hybrids making up 10% to 15% of total U.S. sales in the next 10 years. State incentives and federal tax credits play into it, along with extended range, improved performance PEVs coming to market. Ford said it will bring an all-electric SUV with 300-miles of range to market by 2020, GM started doing well selling the 238-mile range Chevy Bolt; Nissan has said a new generation Leaf with 200 mile range will be rolled out; and in January Tesla started making batteries at its Gigafactory for the Model 3 to roll out later this year. China: That country has been another important market for global automakers to consider for its PEV sales strategy. The numbers have been huge in recent years as China beat out the U.S. as the leading global PEV market. Government policies are starting to change, which appear to be softening that lead. Sales of “new energy vehicles,” the term China uses to refer to battery-electric vehicles, plug-in hybrids and fuel-cell cars, dropped 74% in January from a year earlier to 5,682 units, according to China’s auto association. The government had cut subsidies more than a fight at the beginning of the year. Rules may be revised that had mandated automakers to produce and sell certain volumes of PEVs in the market. Fuel economy policy: President Donald Trump is expected to announce the new administration’s stance on the fuel economy and emissions policy on Wednesday. After meeting with automaker executives in a Detroit suburb, Trump will likely announce extending the public comment period and softening the mandates for automakers. The largest automakers have been asking the Trump administration to revise the mandate to be more in line with the market – making it difficult to sell smaller, fuel efficient cars, hybrids, and plug-in vehicles. Auto executives started approaching Trump administration transition team members soon after the election and staff members and advisors after the inauguration. They were upset with the Obama administration over cutting off the comment period and finalizing the mandate. VW guilty plea: Volkswagen pleaded guilty on Friday to fraud, obstruction of justice, and falsifying statements in the diesel car emissions scandal. It was part of a $4.3 billion settlement that had been reached with the U.S. Justice Department in January and was the first time the automaker has pleaded guilty to criminal charge in any court around the world. Legal battles also started heating up in Europe about the same time. Criminal investigations are intensifying across Europe, and thousands of consumer lawsuits have been filed. The lawsuits could add up, as there are a lot more owners in Europe of VW brand diesel cars. BMW sales double: BMW Group announced that global sales of its plug-in vehicles more than doubled in the first two months of 2017, over that period the year before, to more than 10,000 units sold. Vehicles currently for sale include the BMW i3 in battery electric and extended range plug-in hybrid versions; and the i8, X5, 3-Series, and 7-Series plug-in hybrids. Coming up next will be the BMW 530 iPerformance plug-in hybrid and the Mini Cooper SE Countryman All4 The company expects plug-in vehicles sales to increase through the launch of the plug-in hybrid BMW 530e iPerformance this month, and the Mini Cooper S E Countryman All4 plug-in hybrid in June. 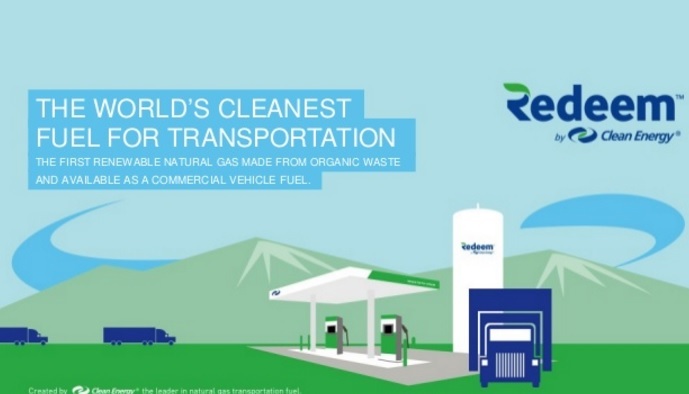 Renewable diesel: Oil refining company Neste has become the world’s largest supplier of renewable diesel. Recent additions to the client list include UPS for delivery vans and Google for its buses that transport employees to and from work. Fleets are taking to it for reasons found in support for renewable diesel – cutting carbon emissions, particulates, and NOx significantly without having to convert over diesel vehicles. Nearly 80% of the company’s renewable products are based on waste and residues. Detroit Electric: Detroit Electric has a $1.8 billion investment through a joint venture with a Chinese company that will roll out the long delayed SP:01 and other vehicles. The startup electric sport carmaker launched in 2008 and took the name of one of the very first electric carmakers that hadn’t been building cars for over a century. Detroit Electric has created a joint venture with Far East Smarter Energy Group, a Chinese company that makes batteries and electrical components. The two companies will get production started by the end of this year for the SP:01, and are planning for two more electric car models in the near future. Tesla energy storage: Tesla Energy is working on getting business overseas – Australia and Kauai. Tesla CEO Elon Musk has made an offer to Australia by tweeting with Australian tech billionaire Mike Cannon-Brookes. Musk pitched him on bringing Powerwall and Powerpack products to the South Australia state to have the necessary energy backup in case of another emergency. South Australia was hit by a state-wide blackout during September and are interested in Musk’s $25 million, 100 megawatt hour offer. In another deal, Tesla Energy has set up a a 13 megawatt solar farm that generates energy stored in a 52 MWh Tesla Powerpack storage set. It fits well into Hawaii’s mission to free the islands from fossil fuels for energy and transportation. Watch the video. In-wheel drive: Protean Electric is partnering with Consolidated Metco to develop an electric in-wheel drive system to provide hybrid-electric solutions for the medium and heavy-duty commercial vehicle markets. The companies say that the drive system will enable ConMet’s OEM and fleet customers to address the tightening of safety and emissions regulations, increasing demands for improved fuel efficiency, weight and drivetrain packaging optimization, and shifts in vehicle demands for long-haul and urban delivery. Ford wins award for sustainability practices: Ford was named one of the World’s Most Ethical Companies for the eighth straight year by Ethisphere Institute, which the automaker says is the longest streak for any auto manufacturer. The award honors companies “who recognize their role in society to influence and drive positive change in the business community and societies around the world.” Ford’s Partnership for a Cleaner Environment (PACE) program with its supply chain partners helped the company make the list. The program, which started in 2014, added tools that help suppliers reduce carbon-dioxide emissions and waste. Members of PACE share best practices in reducing carbon and adopting procedures for reducing water and energy consumption. Site tours: ACT Expo 2017 has announced three technical tours for those attending the conference in Long Beach, Calif., in early May. Monday, May 1, 1 p.m. – 4 p.m.: Join American Honda at its North American Headquarters in Torrance for a reveal of its three Clarity models. The reveal will include an overview of national marketing efforts to deploy the Clarity as well as an opportunity to get in the new vehicles and test them out. 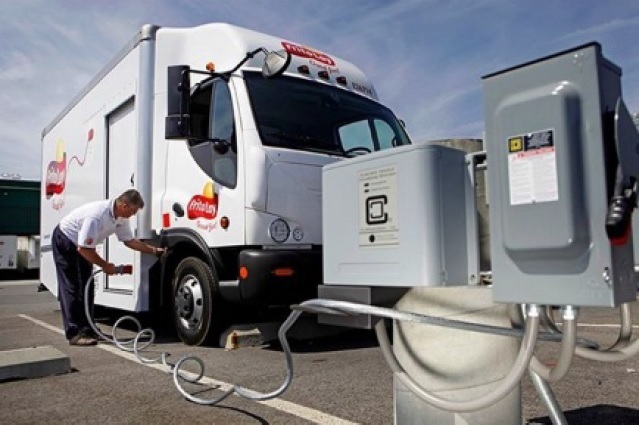 Monday, May 1, 1 p.m. – 4 p.m.: City of Long Beach has one of the most diverse and innovative municipal fleets in the nation, offering an array of fuel and vehicle types with renewable diesel, renewable natural gas, and plug-in hybrid vehicles. Attendees will see an assortment of city vehicles, as well as its renewable fueling infrastructure, extensive maintenance shop, and fleet charging infrastructure. Thursday, May 4, 1 p.m. – 3 p.m.: Long Beach Container Terminal is the world’s first zero-emission marine container terminal. It uses fully automated battery electric cargo handling equipment to move containers through its terminal. While there is a lot of talk of heavy-duty vehicle automation, LBCT has more than 60 battery electric units running in every day service. Visit this incredible project, and also see how these units autonomously change their own battery packs! Enhance your ACT Expo experience by adding an offsite tour for just $50. You can also view a video about the upcoming event. Low carbon pathways: The California Air Resources Board’s Low Carbon Fuel Standard (LCFS) staff has released for public comment four new Tier 2 renewable diesel (RD) pathways using soy oil, used cooking oil, tallow, and corn oil at the Diamond Green facility in St. Charles, Louisiana. 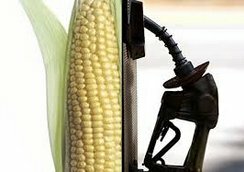 Diamond Green Diesel (DGD) uses the UOP Ecofining Process to produce RD from Used Cooking Oil (UCO), tallow, corn oil, and soybean oil. The Ecofining Process hydrogenates triglycerides and free fatty acid feedstocks which are then isomerized to create a high-quality hydrocarbon fuel. Held March 9-19 at the Geneva Palexpo convention center, automotive media have been seeing several premiers at the 87th annual Geneva Motor Show. Artega Scalo Superelletra: This German supercar maker was founded in 2007 and has been through a series of prototypes, starting with the Scalo sports car and Karo quad bike. The company said those concepts served as testing grounds for its first production electric car, the Scalo Superelletra, which was just unveiled at the Geneva auto show. It’s being built with a 120-kilowatt-hour lithium-ion battery. It may be able to go 300 miles on a single charge, though that’s yet to be determined; and if drivers gun it like a race car, the range will be a good deal lower. 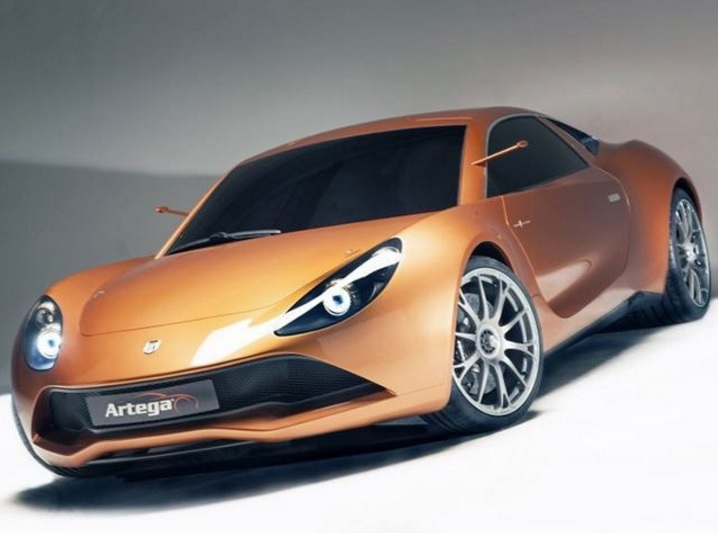 Artega says it it will come with four electric motors, two at each axle, which combined can deliver 1,020 horsepower. It will go 0 to 62 mph in just 2.7 seconds. The top speed has made it up to 186 mph. The electric supercar has been developed in partnership with Artega’s parent company, German automotive electronics supplier Paragon. They’re using energy dense batteries that can add another 60 miles of range in four minutes, and 80% capacity after 17 minutes. Audi hypercar: CEO Rupert Stadler said in Geneva that the company is working on what’s being called a “hypercar,” and which may be in the early development phase with a launch coming up at the end of the decade. The hypercar may come from the Audi R8 e-tron project that was halted about 19 months after being started up for development. That prototype test model was powered by two electric motors producing a combined 456 brake horsepower and 679 lb.-ft., with 0 to 62 mph in 3.9 seconds. The new hypercar could be a rival to similar vehicles in the works, such as the Mercedes Project One and Aston Martin Valkyrie. 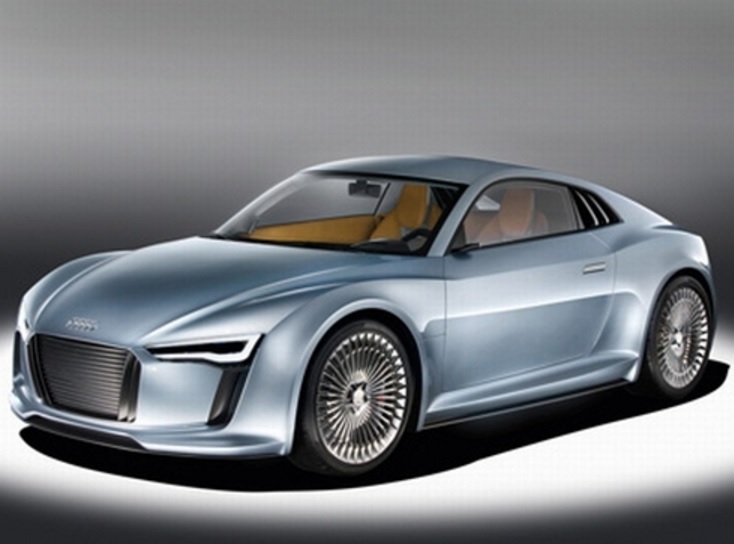 (The featured image is another Audi concept released a few years ago.) The German VW subsidiary has committed to having three electric production cars on sale by the end of the decade. The Audi Q6 e-tron sport utility vehicle should be the first to come out, and ready for launch later this year. Stadler also expressed interest in the company’s role in the Formula E series and the idea of electromobility. 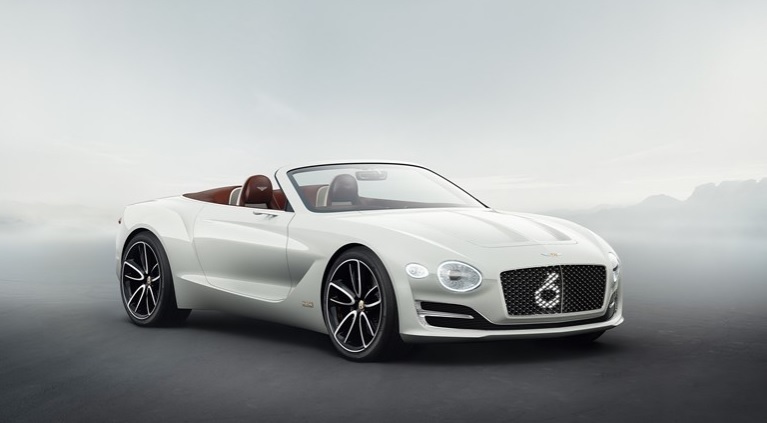 Bentley EXP 12 Speed 6e: British luxury automaker Bentley Motors revealed the EXP 12 Speed 6e concept electric convertible at the Geneva Motor Show. Details haven’t been released on the motor or battery pack, but it will be an all-electric convertible sports car and the automaker is promoting access to wireless charging as one of its offerings. If rapid wireless charging isn’t available for a few years, the electric car can be charged through an auxiliary charging point that will be out sight behind the rear license plate. The compmany reiterated its plan to introduce plug-in hybrid electric vehicle models across the Bentley model range, which will start with the Bentayga in 2018. As for the EXP 12 Speed 6e, “Bentley is committed to offering an electric model in its future portfolio and we are interested to receive feedback on this concept,” said Wolfgang Dürheimer, chairman and chief executive. Honda NueV: Honda Motor Europe’s President and COO Katsushi Inoue announced that the European division will be following the Honda brand’s new ‘Electric Vision.’ Two-thirds of its European sales will have electrified powertrains by 2025, he announced in Geneva. The Honda NeuV (New Electric Urban Vehicle) will be part of it and was announced in Geneva. The all-electric concept vehicle will offer owners both personal trips and a revenue model for automated ridesharing when the owner doesn’t need to use the vehicle. Rolling out hybrid technology across of its vehicle line will be the first part of the Electric Vision; and the automaker said it will also make available a line of plug-in hybrid, battery electric, and hydrogen fuel cell vehicles in the European market. “We will leverage Honda’s global R&D resources to accelerate the introduction of a full portfolio of advanced, electrified powertrains for the European customer,” Inoue said. In other car show news, Honda announced that the all-electric and plug-in hybrid versions of the Clarity will be launched next month at the New York Auto Show. Hyundai FE Fuel Cell Concept: The Korean automaker announced it will be launching its second fuel cell SUV next year – and it will break the world record for driving range in a zero emission vehicle. The company says it will go 800 kilometers (497 miles) on a tank of hydrogen. Hyundai said it will be 20% lighter and have 10% greater efficiency than the Tucson Fuel Cell (called the ix35 in Europe). Energy density will be improving quite a bit, by 30%, which the company said will be integral in boosting the range from 265 miles in the Tucson Fuel Cell to 497 miles in the FE Fuel Cell Concept (at least for now; EPA fuel economy ratings will probably bring down that total for the concept fuel cell vehicle). 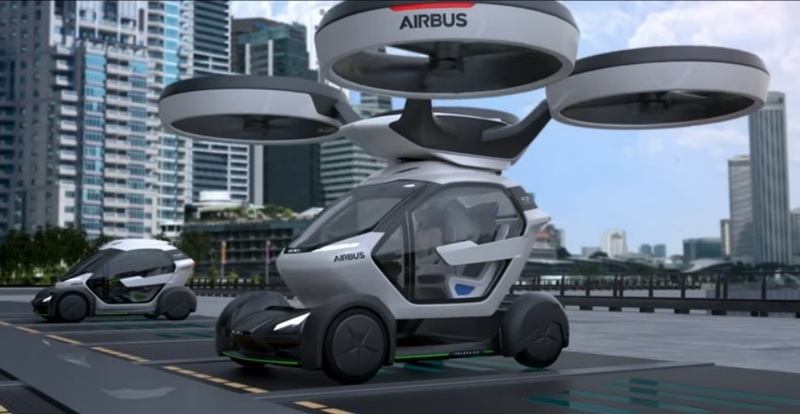 Italdesign and Airbus flying car: Italdesign, Audi’s design and engineering subsidiary, and Europe-based aircraft giant Airbus debuted a concept car at the Geneva auto show that will be self- driving and able to release its passenger to a flying drone. A drone will hover over the car, attach itself, and then carry the passenger pod to its destination. Italdesign’s Capsula concept goes back all the way to the 1982 Turn auto show. The new concept vehicle from Italdesign and Airbus would offer the latest in ground mobility tapped into flying vehicle technology being tested – ideal for crowded city streets. 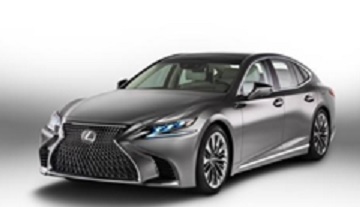 Lexus LS 500h: The LS 500h debuted last week in Geneva as an electric- and gasoline-fueled version of Lexus’s flagship sedan. The Toyota division hasn’t released the price, but it could compete directly with the Tesla Model S at a base level and go near $90,000 at the high end. It has a V6 gasoline engine paired with two electric motors, a lithium-ion battery, and 354 horsepower on a multi-stage hybrid transmission. It will come out as a 2018 model year vehicle. 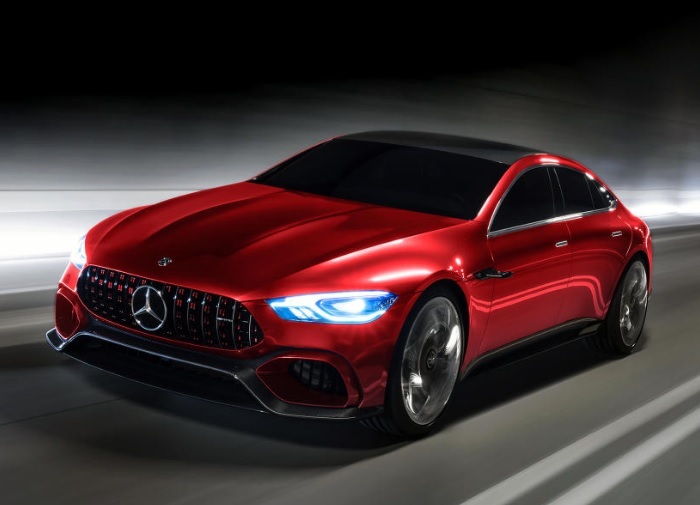 Mercedes-AMG GT Concept: This concept vehicle has EQ Power+ designation, which indicates that the German sports car brand is looking at adding the new model to electrification of its future models under the new electric brand. All performance hybrids from AMG will carry this EQ Power+ designation. This concept taps into a combination of a gas-powered 4.0-liter twin-turbo V8, a high-performance electric motor, and a powerful yet lightweight battery to get a total system output of 805 horsepower. The concept vehicle is being tied into Mercedes-AMG’s 50th anniversary. 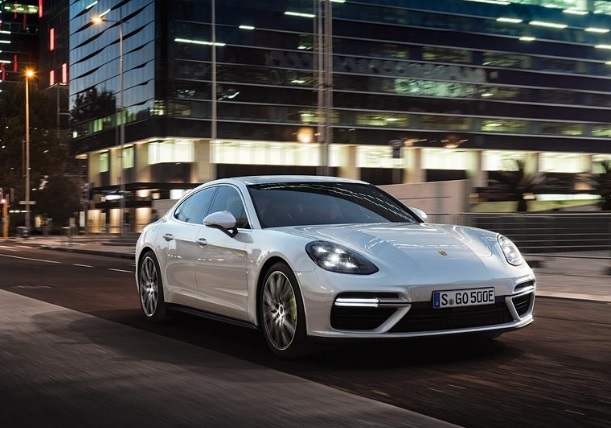 Porsche Panamera Turbo S E-Hybrid: Porsche world-premiered the Panamera Turbo S E-Hybrid in Geneva, and will be launching it in the European marketing in July 2017. The company is promoting it as the flagship in the Panamera brand for its impressive power delivery. It can deliver 500 kW/680 horsepower of system power and 850 Nm of torque. It goes from zero to 100 km/m (62.13 mph) in 3.4 seconds, and can hit a top speed of 310 km/h (192.62 mph). The power comes from a 100 kW electric motor combined with a four-liter V8 engine that can bring the hybrid system 550 in horsepower. 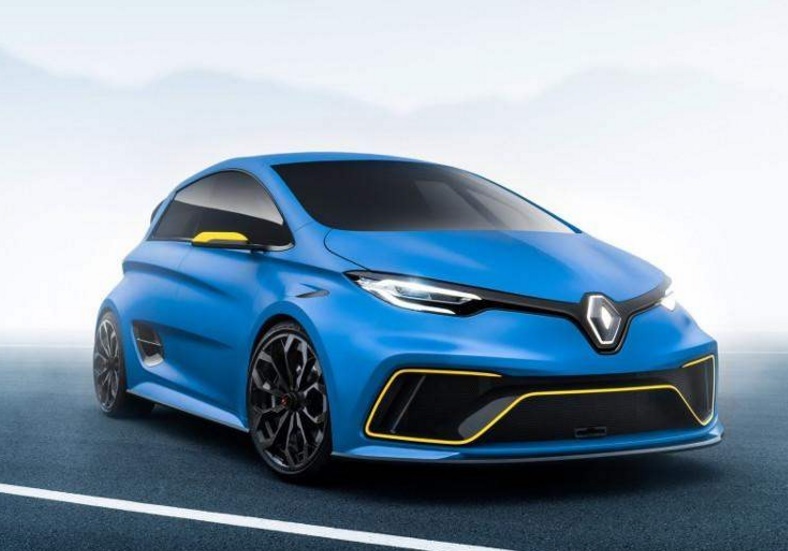 Renault Zoe e-Sport: The Zoe e-Sport Concept displayed at the Geneva car show brings together the automaker’s commitment to electric vehicles with winning two titles in FIA Formula E races. The e-Sport Concept will be built on the Zoe all-electric car’s platform and will have some of the same aerodynamic design and styling of the Renault e.dams team’s Formula E single-seaters. It will also utilize lightweight carbon fiber, as does Renault e.dams’ racer. The Renault e-Sport is powered by two motors that deliver a total of 340 kW of power. It will come with two batteries for energy storage with a total capacity of 40 kWh. 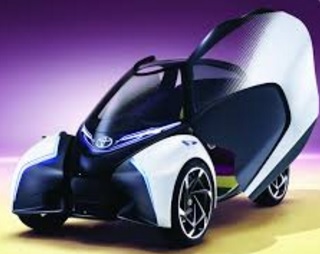 Toyota i-TRIL: Toyota’s urban mobility concept vehicle, the new electric i-TRIL concept, debuted globally at the Geneva Motor Show. 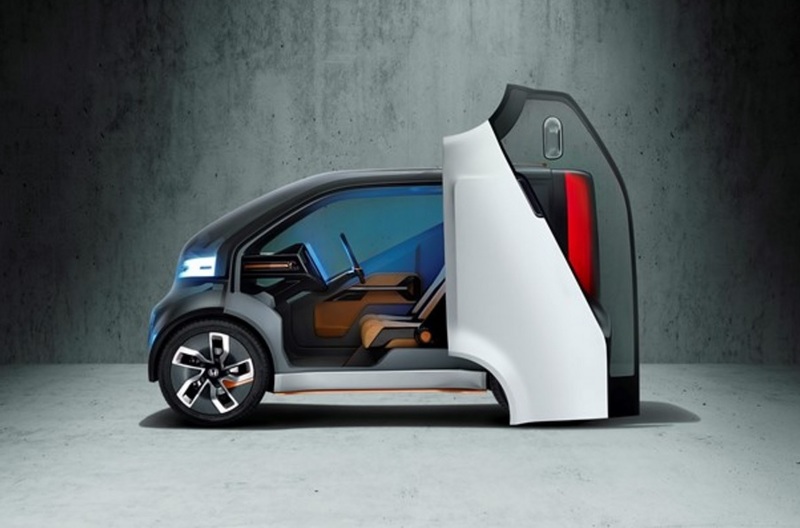 It’s been designed to be smaller than other specialized cars ideal for roaming through crowded city streets and parking garages. The market will be SMESTO (Small to Medium Sized TOwns) in which Toyota references European Union studies. The automaker thinks that these types of cities in Europe and other markets will be ideal.